The action figure market is primarily dominated by male action figures. Little boys don’t want a girl action figure. 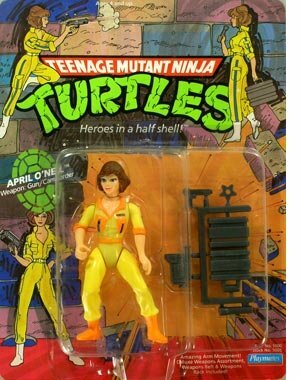 Because of this, very few female characters are ever created for toy lines. Princess Leia, April O’Neil, and Scarlett are a few of the more successful female action figures. Sad news today. 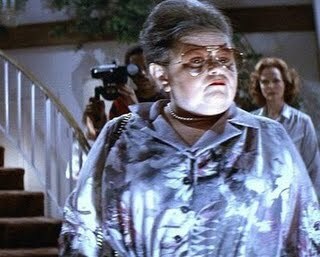 Zelda Rubinstein who portrayed Tangina Barrons in Poltergeist, passed away. I love Poltergeist, and she made that movie. The sequels, not so much. You can read her death notice from the Daily News. I watched Paranormal Activity last week, and was really disappointed. First, was the Blair Witch Project. Then I sat through Cloverfield. Now another “documentary” type film, Paranormal Activity was awful. Why do people enjoy these films? The hype masks the fact that the film blows. The only thing that could save Paranormal Activity was if that chick took her shirt off. Sadly that doesn’t happen either. 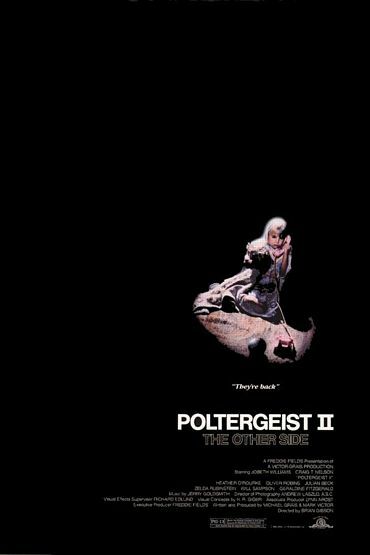 I then thought about Poltergeist, a good ghost film. Poltergeist is still a freakin scary film twenty some years later. Sadly, part two couldn’t live up to the first film, but there were a few good parts. Cinemassacre’s Monster Madness month continues with their daily Horror film review with Poltergeist. It’s hard to be a child of the 80’s these days. All of the films that you consider sacred are being “remade” or “reimagined.” Last week the first image of The Karate Kid remake made its way onto the web. The initial negative reaction to the remake made Columbia Pictures to rename the Jaden Smith / Jackie Chan film to the Kung Fu Kid. So I began to list what other ’80s films are in danger of becoming a remake. 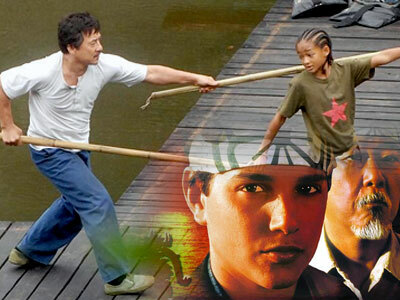 If The Karate Kid could be remade, no film is safe from greedy Hollywood producers. If they were remade, how would these films be different? How would they ruin it? I cry at the thought of any of these films being remade. The list was very long, but I narrowed it down to the Essential Seven.